I, the undersigned, understand that the bat(s) listed above (the “Bats”) have been shaved by the World’s Hottest Bats, LLC (“Worlds Hottest Bats”). This means that the World’s Hottest Bats has removed the end cap and thinned out the inner walls of the Bat(s) to increase the trampoline effect that happens when a ball hits it. I understand that because of the alterations made to the Bat(s) by World’s Hottest Bats, the Bat(s) no longer comply with the rules, regulations and standards of the ASA, USSSA, NSA or any other associations whether for softball, baseball or little league that had previously certified the bat to not exceed a certain performance level. The Bat(s) are no longer deemed approved by ASA, USSSA, NSA or any other softball baseball or little league association and would not be legal for use in sanctioned play. As such, I understand that the Bat(s) are only to be used in exhibitions, home run derbies and outlaw leagues where it is legal to use them. I understand it is my responsibility to verify where it would be legal or not legal to use this bat. I agree not to use the Bat(s) in sanctioned league play, tournaments or anywhere it is illegal. I understand that the Bat(s) will come with a sticker identifying them as shaved and agree not to remove the sticker. I assume all responsibilities and risks for any alterations made to the Bat(s) by the World’s Hottest Bats. I will indemnify, defend and hold World’s Hottest Bats and its members, managers, agents, employees and assigns harmless from all claims, demands, or liability arising out of or encountered in connection with my or anyone else’s use of the Bat(s). Such indemnity shall extend to claims, demands, or liability for injuries occurring out of or in connection with the use of the Bat(s) regardless of whether the Bat(s) were used in a legal or illegal manner. World’s Hottest Bats is not responsible or liable for slight alterations that may have been made to the Bat(s) in order to accomplish the shaving process. 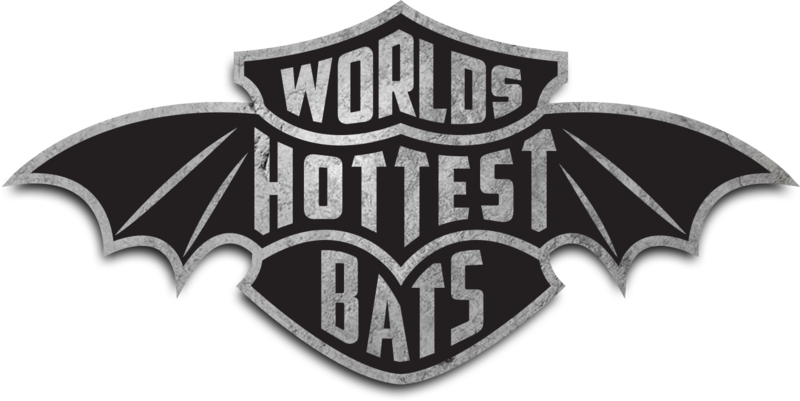 World’s Hottest Bats does not warrant the Bat(s) from cracking or denting. I release World’s Hottest Bats and it members, managers, agents, employees and assigns from any and all claims and liability arising out of or resulting from the alterations made to the Bat(s) by World’s Hottest Bats. If there is a problem with the Bat(s), other than cracking or denting, that is attributable to poor workmanship by World’s Hottest Bats; World’s Hottest Bats will repair the Bat(s) at no charge for up to six (6) months from the date of this Shaved Bat Purchase Form and Release. I will be responsible for paying the shipping costs to send the Bat(s) to World’s Hottest Bats and World’s Hottest Bats will pay the costs to ship the Bat(s) back to me after the repairs have been made. I understand that shaving the bats will reduce their life span and durability. I understand that the Bat(s) are not to be used in under 60 degree weather and that bat warmers should be used any time the temperature is below 70 degrees. If any legal action or other proceeding is brought for the interpretation or enforcement of this Shaved Bat Purchase Form and Release, or because of an alleged dispute, breach, default, or misrepresentation in connection with any of the provisions of this Shaved Bat Purchase Form and Release, then the successful or prevailing party or parties will be entitled to recover their reasonable attorney fees and other litigation costs (including the cost of experts) incurred in that action or proceeding, in addition to any other relief to which they may be entitled. This Shaved Bat Purchase Form and Release will be enforced and interpreted according the laws of the State of Arizona. By clicking “I accept the above terms” the purchaser agrees that purchaser has read the terms of this agreement, that purchaser understands the terms of this agreement and agrees to be bound by these terms. The clicking of “I accept the above terms” shall act as an electronic signature on this Agreement and shall be considered the signature of the purchaser for all purposes.